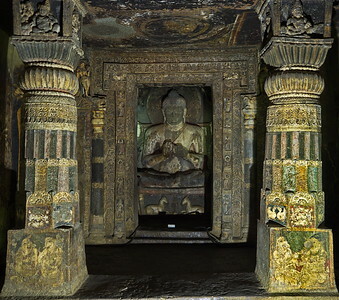 The Vishvakarma Cave, which is also know as the Carpenter's Cave due to the herringbone ceiling which looks like wooden beams. 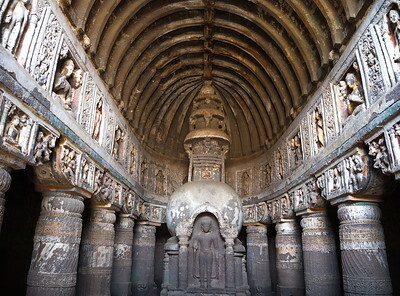 This 5m Buddha, the pillars, and herringbone ceiling are all carved into the vertical stone face. 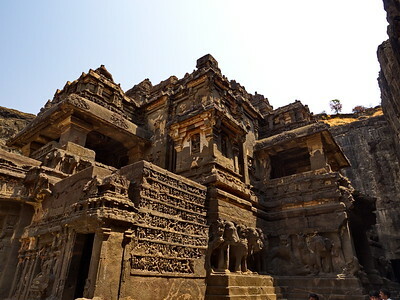 This temple is the largest monolithic structure in the world. 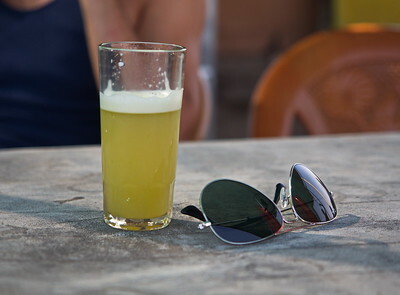 Add a dash of lime juice, some ginger and chill with ice; very nice on a hot dusty ride across the plains. 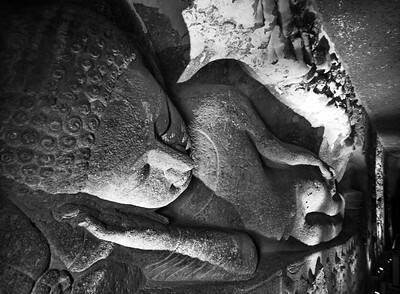 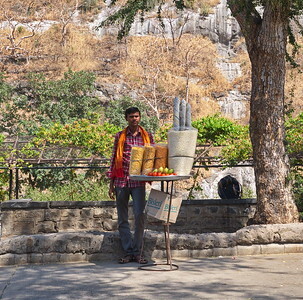 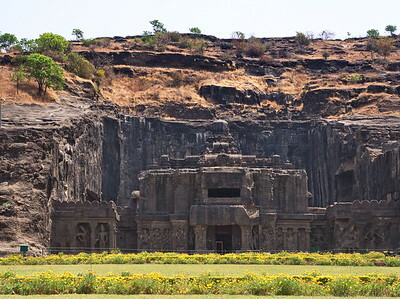 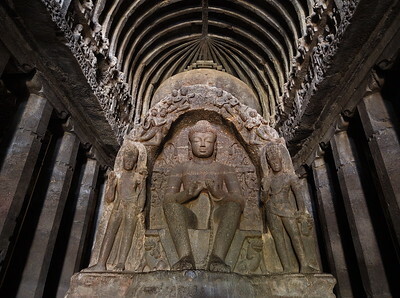 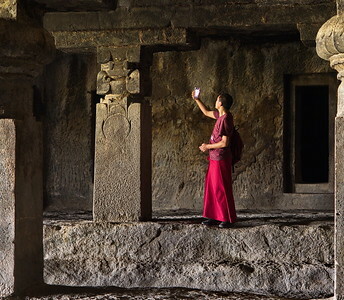 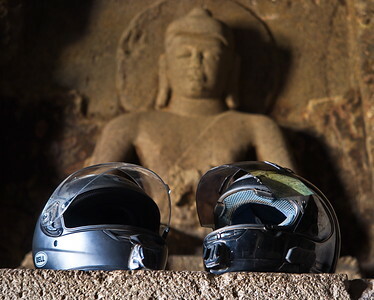 The Ellora Caves attract devotees from around the world on a regular basis. 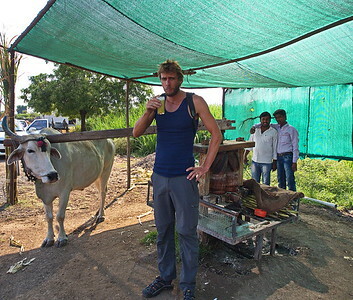 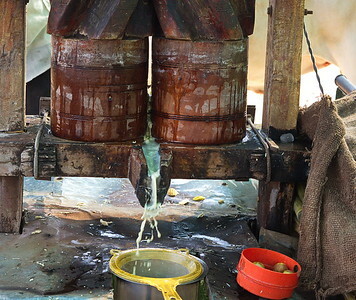 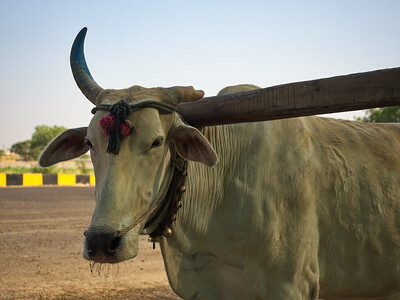 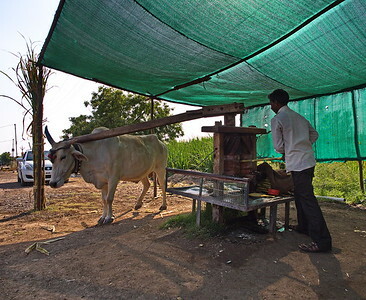 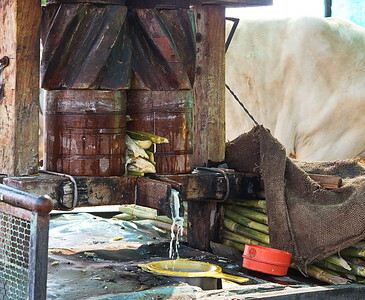 In less rural areas, the oxen are replaced by a noisy and fumy little diesel engine and a smaller metal crushing machine; both of which are quite unappealing to people riding through India on a motorcycle. 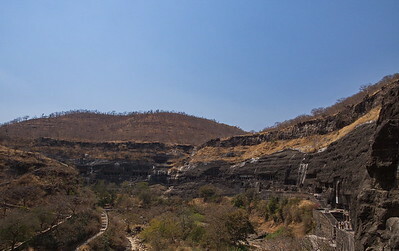 After the monsoon rains the river valley and hills are green and the black rocks of the caves have more striking appearance. 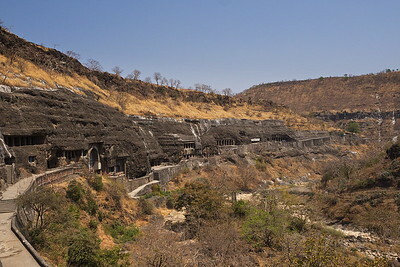 The caves were discovered by a British hunting party in 1819 who were hunting tigers in this area. 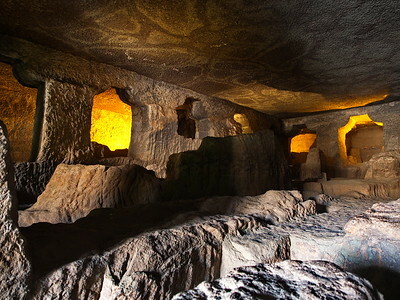 This is an HDR image of one of the 'unfinished' caves. 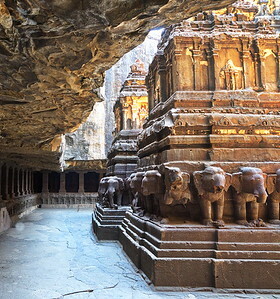 The orange backlighting is part of the cave display. 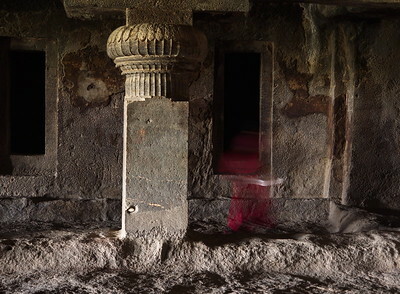 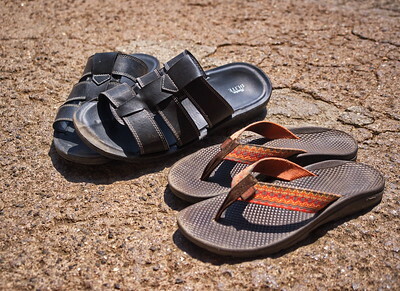 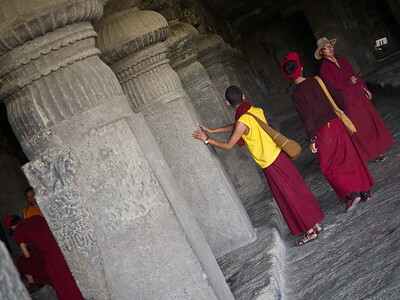 Whilst a big tourist attraction, these caves are still sacred places of worship and footwear must be removed. 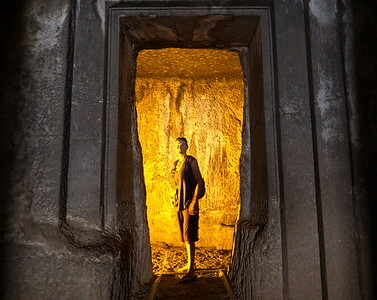 In some of the caves, air purification fans were running to keep odors in the enclosed space managable!